Idioms and the meaning they convey are not necessarily (and often not at all) related to the words actually used. This is the case with the Greek phrase "mia ton sabbaton" and its translation in the New Testament into the English phrase "first day of the week." Is that translation even correct? The implications of this question are rather profound. A proper examination of idioms of the Bible will, in some cases, improve our understanding. This study focuses on one of those idioms, the meaning as understood, and the original meaning. There has been a suggestion that the Greek phrase "mia ton sabbaton" really means something like "day one to the sabbath" or "first day unto the Sabbath" from a Semitic idiom, allegedly used as a way of designating the first day of the week by showing its relation to the Sabbath. This would legitimize its translation into "first day of the week." 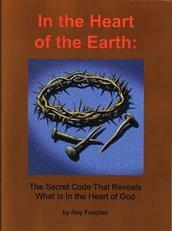 Of course, this would undermine the position presented in the book "In the Heart of the Earth" that the phrase means "one of the sabbaths" referring to the period between Passover and Pentecost. This page investigates the translation of "mia ton sabbaton" beginning with some background on the concept of idioms. "A chip on his shoulder": Being upset for something that happened in the past. "Adding fuel to the fire": When something is done to make a bad situation even worse. In the English language, there are an estimated 25,000 idioms. The meaning of each is determined not by the meaning of the words but by ever-changing culture. Thus, the number of idiomatic expression is continually growing. If we were to translate "He has a chip on his shoulder" into another language where that idiom is unknown, it would have to be translated with words that mean, in English, "He is upset over ___ that someone did to him." "He added fuel to the fire" would be translated into words having a meaning like: "He just did _____ and made the whole nasty situation even worse." So if, in the original Semitic language, the words "one of the sabbaths" meant the "first day of the week" it would have to have been translated into Greek using words that meant "first day of the week." The translation would include the Greek words "protos hemera hebdomad" or it would make no sense. A word-for-word translation of "mia" into "first" and "sabbaton" into "week" results in the phrase "first week" which, of course, makes no sense within the context that is obviously referring to an event on a particular day. So the translators added the word "day." perhaps reasoning that the word "day" is implied which it is as the sabbath is a day. They chose to add it between mia and sabbaton producing "first day of the week." However, it could have been added after sabbaton to produce "first sabbath day." And the sabbath already is a day! Why add "day" in such a way as to make it refer to a different day? And, as shown here, "mia" would more accurately be translated as "one," "one of," or "a certain one," one singularity or the quantity one rather than "first." Indeed, in many cases, glaring contradictions would result if "mia" was translated as "first." No Greek word for "Sabbath"
Since the Greek language had no word for Sabbath, the translation into Greek borrowed the Hebrew word "sabbaton." Borrowed or imported words retain their sound - proper names are an example of this. If you are listening to the Moscow news (in Russian) you will hear words like Obama, Washington, D.C., dollar, America. It is a principle of transliteration that if a word is imported because it has no equivalent in the new language, it's meaning in the new language is invariably going to be the same as in the original language. The Greek word for "week"
It would be logical for the gospel writers to have used this Greek word for week as it had been previously used in the Septuagint. The Greek word "sabbaton" used in "mia ton sabbaton" is plural as shown by the letter "n" at the end. If the concept of a "week" was legitimate, it should have been translated as the plural "weeks." Volume 35 of the Word Bible Commentary says that "the first day of the week" literally means "one of the Sabbaths" in the Greek. The second page of this study lists a number of other resources that admit that the original Greek meant sabbath. When translating idioms, the meaning must be conveyed not by a literal word-for-word translation but by a translation of the meaning of the idiom in the original language to the same meaning in the new language. If, in the original language, the phrase in question meant "first day of the week" then, in the Greek that it was translated into, the words (or close synonyms) for "first" (protos), "day" (hemera) and "week" (hebdomas) would have to have been used. If they were not, any Greek-speaking reader who did not know the original language or its idioms would misunderstand the meaning. There seems to be a lack of evidence for the idea that "mia ton sabbaton" was an idiom designating the first day of the week. Part 2 of this study gives further documentation of this lack. Also, there is so much other evidence presented in the book and on this website that points to the resurrection having been on the seventh-day Sabbath which would be consistent with the literal meaning of "mia ton sabbaton."